A Rianxeira [Nils solo accordion intro]/Badlands/Out in the Street/Hungry Heart/Outlaw Pete/Spirit in the Night/Working on a Dream/Adam Raised a Cain/Murder Incorporated/ Johnny 99/Darkness on the Edge of Town/Raise Your Hand/Burning Love/Born to Be Wild/My Love Will Not Let You Down/Waitin‘ on a Sunny Day/The Promised Land/This Life/Backstreets/Lonesome Day/The Rising/Born to Run/No Surrender (acoustic)/Land of Hope and Dreams/American Land/Glory Days/Dancing in the Dark/Rockin‘ All Over the World/Twist and Shout/Born in the U.S.A.
Schade schon wieder open Air. Verstehe ich nicht.Halle ist 1000mal besser. Wie kommt man an Tickets für das Konzert in Rom? you can buy the tickets for Rome online at http://www.ticketone.it. I think starting from next monday: I suggest to you to log in at midnight when the selling starts, because italian fans are reallly crazy and everyone will want the tickets for Rome. Good Luck!!! wie kommt man an tickets für das konzert in benidorm?? Now it’s official. If someone wants to buy tickets for concerts in Italy (Rom, Turin, Udine) the sale starts on Freitag 30 Januar on http://www.ticketone.it at hour 21. Möchte gern Karten für Sevilla / Spanien kaufen, kann aber auf „Ticketmaster.es“ noch keine Ankündigung erkennen. Gibt es hier irgendwelche Info? Hey, the picture on the july 8 concert in Herning is wrong. It’s not from the actual concert, which was placed on another area, close to the football arena. There was around 50.000+ spectators at the actual concert, and the pictures do not show that many. 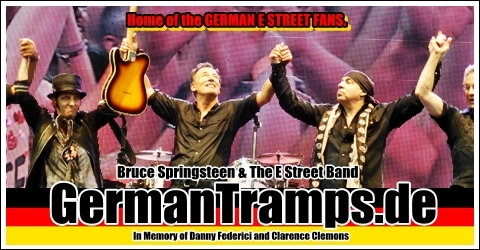 I forgot to say, that I did attend the show:-) My fourth show – the first was in Frankfurt, Germany back in ’85. Thank you very much. We „erase“ the picture and will update the setlist page soon. The other setlsts can be found in our news.